Johnstone’s name quickly leaked, provoking prosecutions for contempt of court against editors and our journalists' union. Johnstone was then named again during BBC live radio broadcasts from Parliament. Overnight, the top-secret GCHQ witness became the most famous officer in the British Army. Q: Is that the name of your unit? A: I cannot answer that question, that is a secret. Q: Is that the board which passersby on the main road see outside your unit's base? Q: Read it out to the jury, please. A: I cannot do that. It is a secret. Official panic set in. The Foreign Secretary who GCHQ had bullied into having us accused of spying now wrote that, "almost any accommodation is to be preferred" to allowing our trial to continue. The judge, a no-nonsense Welsh lawyer, was also fed up with the secrecy pantomime. He demanded the government scrap the espionage charges. They did. That left only our taped discussion with Berry, which was mainly filled with trivia about his military life. Johnstone then said that a particular revelation – that GCHQ targeted NATO ally Turkey — could cause "exceptionally grave damage,” and could disrupt the NATO alliance. Johnstone assumed Berry knew this from top-secret intercepts. In fact, Berry's military record showed he had been in England when the Turks had moved on Cyprus. Johnstone was shown a newspaper article Berry had seen while in England that reported the sailing of the Turkish fleet. Berry had told us only what he'd seen in a newspaper. But what "Colonel B" said had given away a damaging secret: Britain was spying on her allies. We walked free. The judge ruled that we should face no punishment for technically breaking the discredited secrecy law, which was repealed 11 years later. The ABC trial helped pierce an iron veil of British secrecy, changing the political landscape and leading to important new whistleblowers coming forward. Since then, my inquiries have helped throw light on the secret world of surveillance, including uncovering ECHELON, the first-ever automated global mass surveillance system. In February 1980, with help from new whistleblowers, I published the location of the UK's secret national phone-tapping center, "Tinkerbell.” This time, politicians and the national press put the focus where it belonged. The government admitted that there was then no legal basis for wiretapping in Britain. They were forced to legislate to regulate wiretapping four years later. 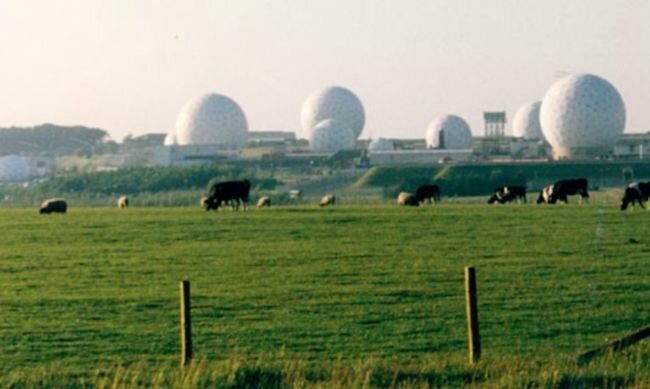 That same year, new sources told me that a secret NSA base in England – Menwith Hill Station (MHS) – had been identified by 1970s US congressional intelligence investigators as the larger of two NSA centers tapping telephones in Europe. I teamed up with the British Sunday Times investigative reporter Linda Melvern, and we traveled to the US, where intelligence officials confirmed the role of the Menwith base. One ex-NSA analyst told us he had documents giving the base authority for "tapping the telephone lines to Europe.” A former British military officer who had visited Menwith said, "It intercepts telephone and other communications to and from the United States and Europe." Some of our sources suspected that, due to its location and powerful access arrangements, the Menwith Hill station may have had a central role in the unlawful secret surveillance of US citizens in the 1970s – back when the NSA had helped the FBI target civil-rights activists and other protesters. Our best source – impeccable – was a top intelligence consultant who then still worked with NSA. He told us he had officially inspected the Menwith site and confirmed, “for sure,” its elaborate tapping facilities. This whistleblower, whose identity has never before been revealed, was Oliver G Selfridge, a founder of the field of artificial intelligence and a member of NSA's Scientific Advisory Board until 1993. We raced back home, and confirmed the tip. We found and photographed an umbilical link between the NSA base and the national and international communications network. We suspected we were looking at the biggest tap on the planet, and headed our report The Billion Dollar Phone Tap. Back at the Sunday Times newsroom, we celebrated. But the editor who had commissioned the investigation expressed concerns about exposing secrets without specific evidence of wrongdoing. He wanted to lead with a report about US spies helping Britain fight Irish terrorists. We believed we had uncovered a story of mass surveillance. So we published the article in a small-circulation left-leaning weekly, the New Statesman, where I was working as a reporter. Although the piece was picked up by the Washington Post, and triggered an editorial in The Times in London, it didn’t have the impact we hoped for. But it did result in finding an important contact: Jim Bamford, an author who was writing about the NSA. Exclusive interview How has open source changed it - and can it survive Windows PC decline?